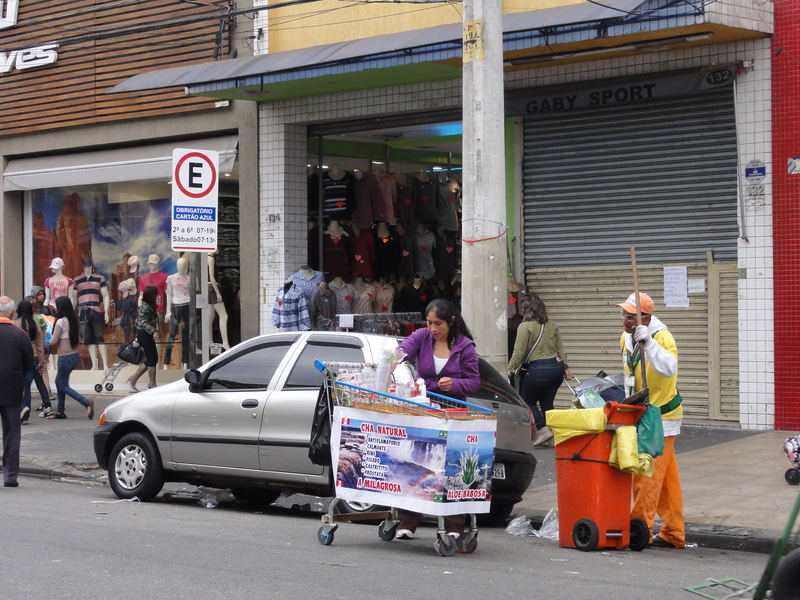 What follows is a series of captioned images that attempts to succinctly describe the complicated relationship between the street vendors in the Bras neighborhood of Sao Paulo and the Ferinha da Madrugada, a market of dubious origins and ongoing, seemingly nefarious, happenings. 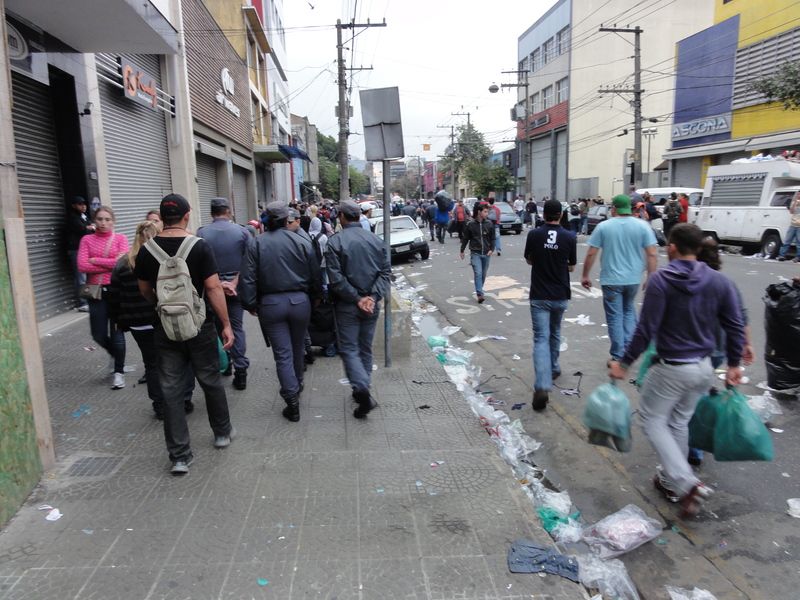 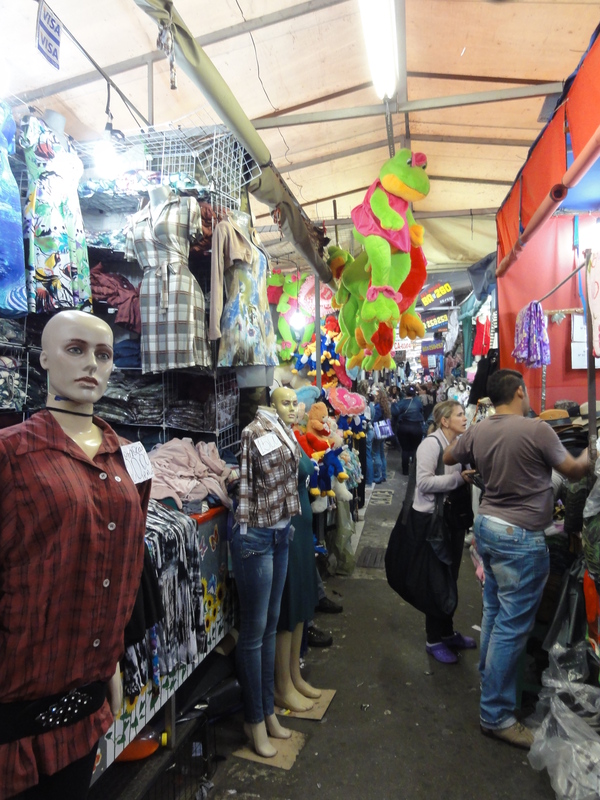 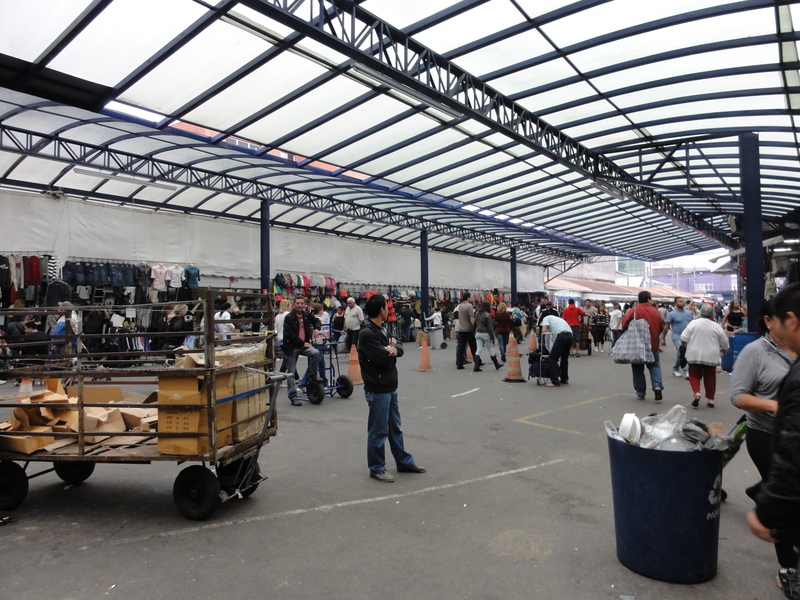 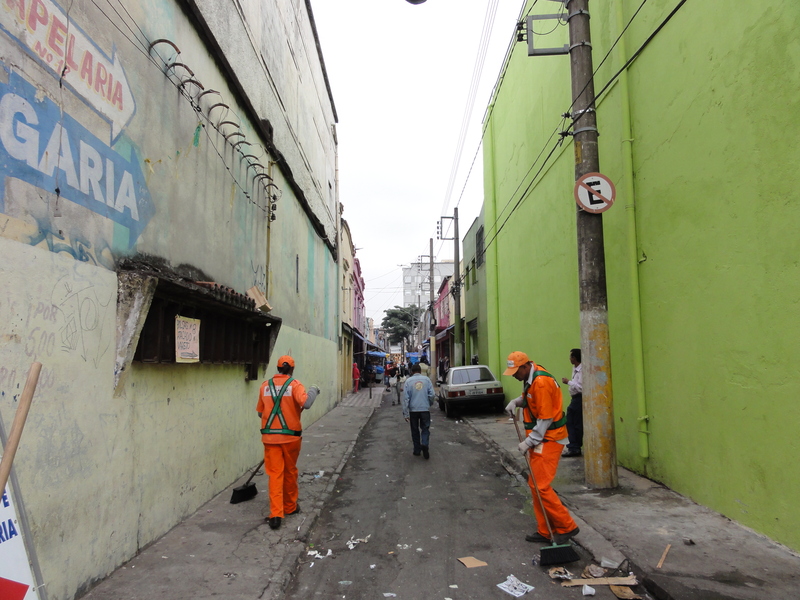 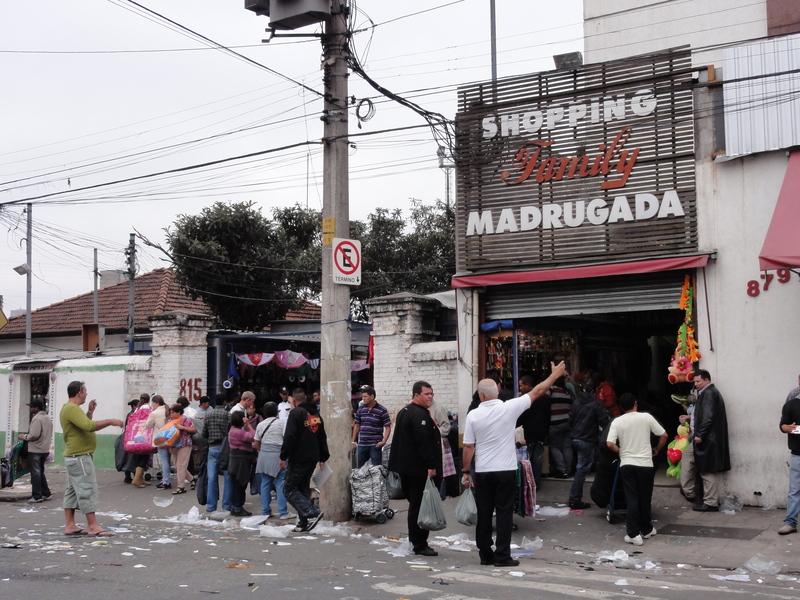 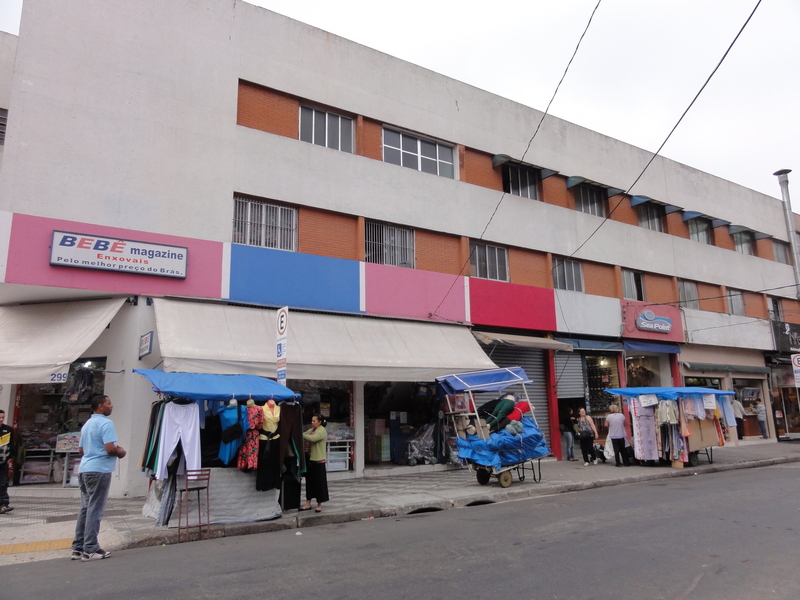 The images illustrate a typical early morning in the Bras neighborhood, just as illegal street vendors make way for permitted ones and questionable exchanges take place at the Ferinha. 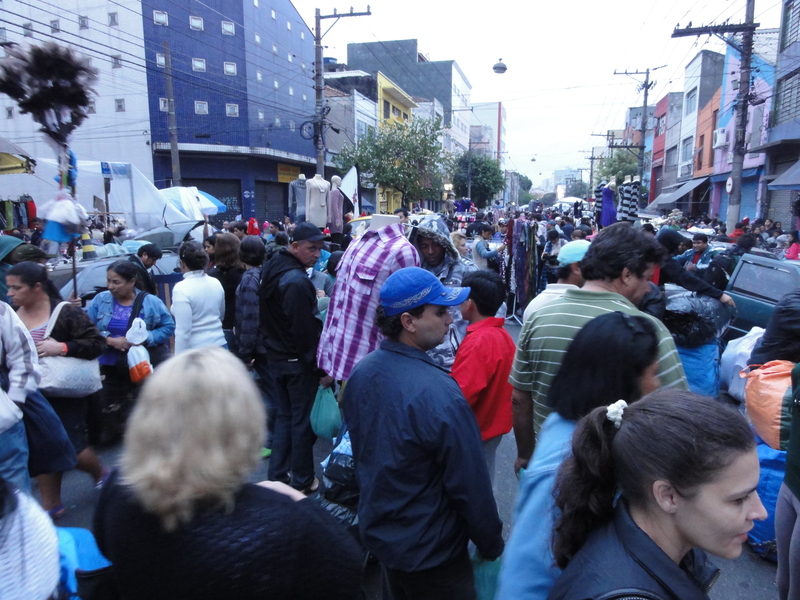 I will note that information shared with me about the Ferinha is, to some degree, speculative, but firmly rooted in a deep and ongoing investigation of the fair and its workings. 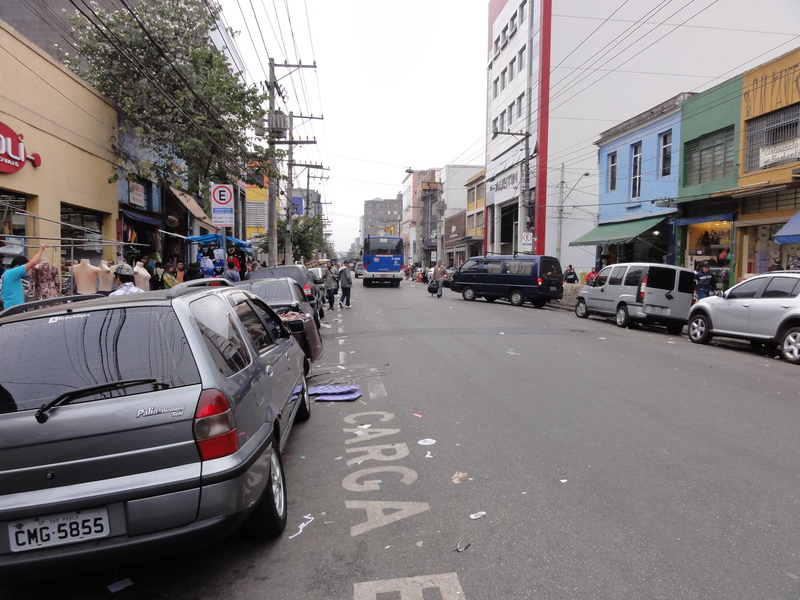 The speculative nature of the numbers and commentary mentioned in this post is largely due to the elusiveness of the characters at play – presumably murdered union members, internationally notorious mafia leaders, seemingly ill-informed interested corporate investors, as well as the federal and state officials and their seemingly laissez faire approach to the Ferinha’s regulation. 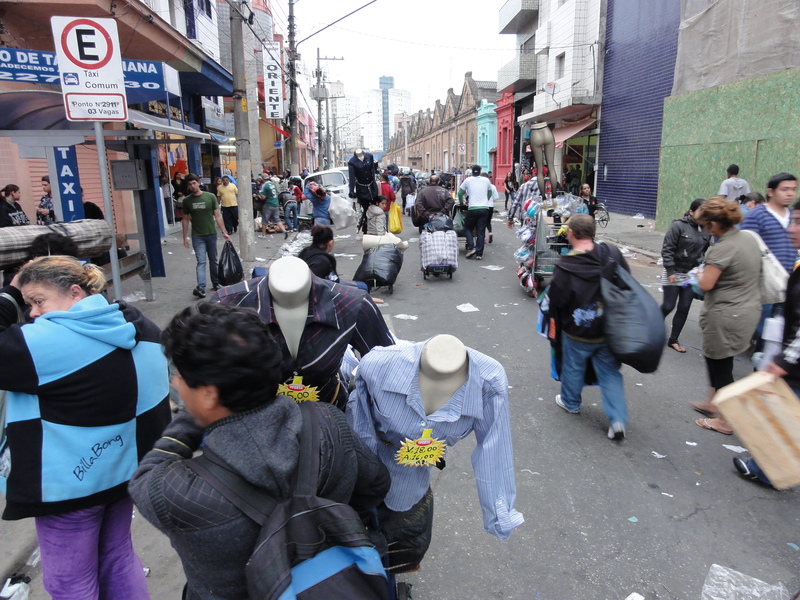 Still, these speculations, based on a project out of the Centre Gaspar Garcia of Human Rights called the “Informal Work and the Right to the City,” which is financed by European Union and Christian Aid and lead by researcher Luciana Itikawa, are certainly worthy of being shared, if merely to highlight the ever-complicated informal economy and the many interests involved. 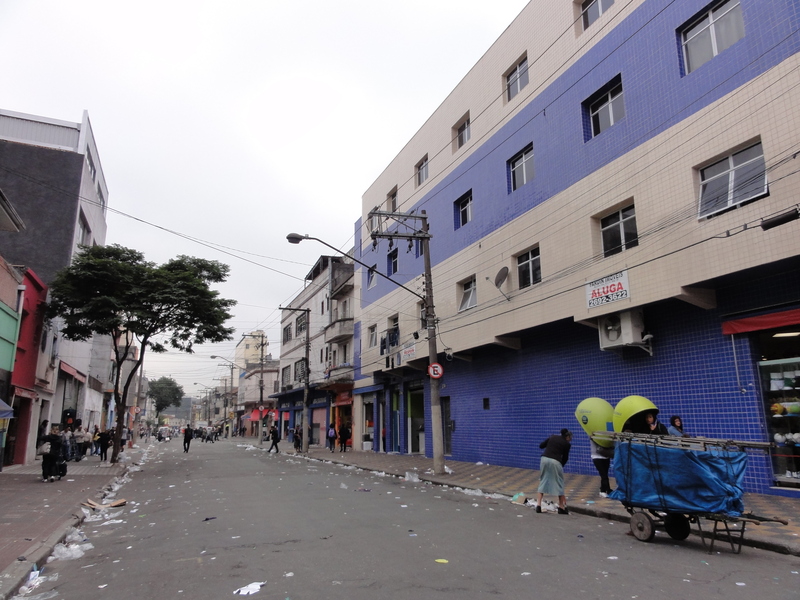 * Correction 20 August, 2012: The post previously incorrectly noted Rua Oscar Friere as the street vendors early morning location. 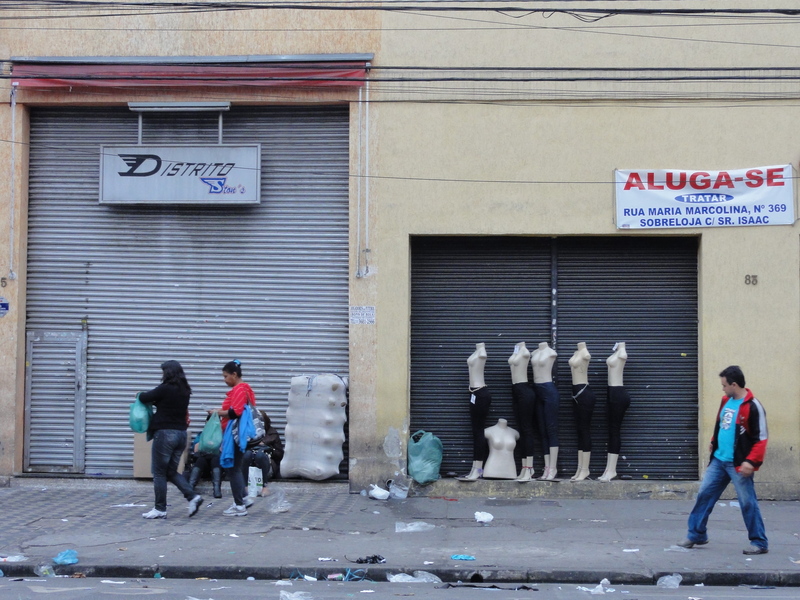 ← GROWTH OF INFORMALITY, ARE WE PREPARED?